You might be an expert at grabbing the attention of your customers with a stylish desktop call to action, but a mobile website CTA is not the same. The way your customers browse from a mobile is a lot different to desktop browsing and for this reason you’ll need to think about how a call to action should be delivered on a mobile website successfully. 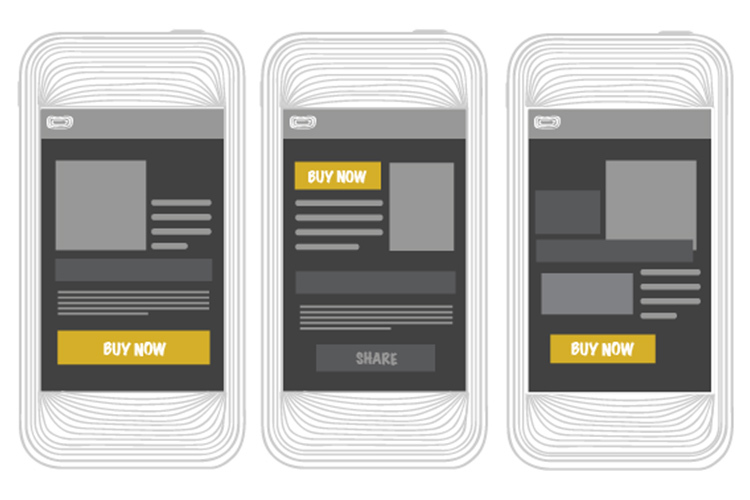 This article gives some tips on how you can approach the mobile CTA problem. This should be common knowledge by now but a call to action on any platform should be made colorful and easy to spot. We’d suggest creating a button or banner that stands out from the rest of your website – your call to action should make everything else look tiny in comparison. Not only is this important for grabbing your visitor’s attention, but it’s also important for capturing those mobile users in a hurry that just want to make a quick buy online. At the end of the day, you want to draw visitor’s eyes to the big button that brings them a step closer to making a purchase. However, there is a certain technique you can use so that you don’t technically have to get their attention at all, because you’ll already have it. More is explained below. If you are creating a call to action on mobile, you should not place it in a sidebar or at the bottom of your product description. You should certainly not place a call to action at the footer of your page either. If you have something to sell, whether it be a service or a product, your call to action for this sale should be immediately available when a visitor loads up your web page. Studies show that wasting your mobile visitor’s time is going to result in a huge loss of sales. Whilst a lot of mobile users back out when a page is taking too long to load, some will also look elsewhere if they cannot find the page they need quickly. If they want to purchase a product, you should bet that your customers will want to find the call to action very quickly. 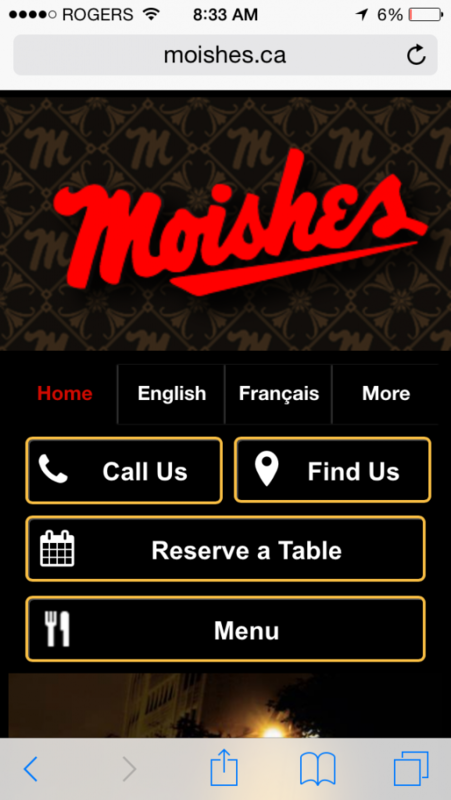 For this reason, we suggest placing a call to action as a major feature of your mobile page. If visitors are coming to your website for a certain reason, put easy access to it. Putting it as a large graphic of text banner will work, as long as it is the first thing they see when hitting your landing page. It’s a little bit difficult if you sell multiple products or services like this because your users may be looking for different things when visiting your website. 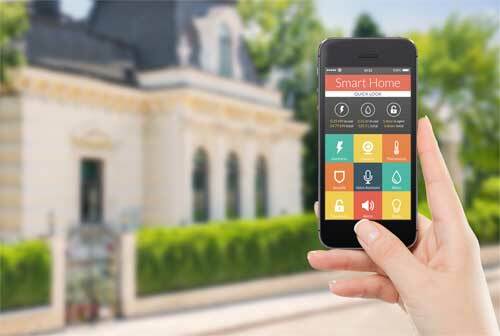 If you have your smarts about you, you could correlate data with your most popular products and place this as the first thing visitors will see when hitting your mobile website. Alternatively, if you have a sale then this could appear straight up at the front. A better option may be to include a parallax content slider on your website that automatically goes through a selection of your most popular products/services. Either way, it’s important that you can put your visitor’s eyes right on what you’re trying to sell as soon as they come in through the front door. It’s not just about providing quick access to mobile users either. A study by Mobify shows that a lot of mobile sales are spontaneous – a potential customer may not come to your website to directly make a purchase, but if you can throw out your best product in front of them straight away, they may just make a quick purchase right on the spot. 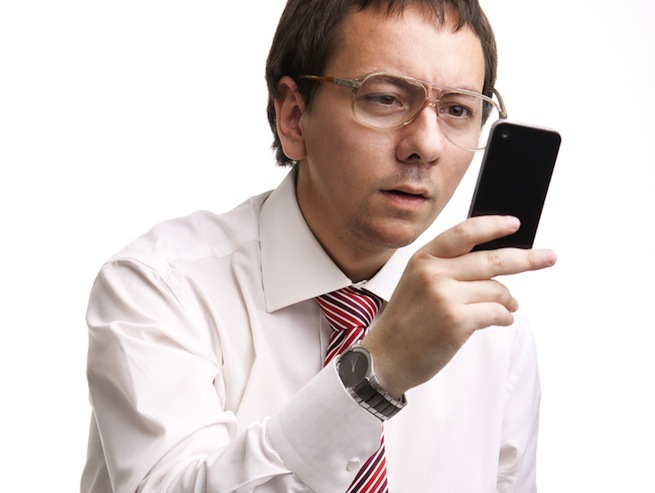 In summary, it’s important to understand how to place your call to action correctly on your mobile website. Even if you go for a more traditional route that lists mobile CTAs similarly to how you would show them on your desktop website, you should still consider placing a large call to action on your front page. Mobile users are quick to react, want instant access to products and services, and sometimes can be a little spontaneous as well. An eye-catching front page call to action can work wonders on a mobile website for this reason. We wouldn’t say it’s entirely impossible to survive in 2015 without a mobile website, but if you run a business that relies on some form of online portal, you’re going to find 2015 is going to be a tricky year. Below, we have listed some of the main reasons why 2015 could be the end of the road for non-mobile ready business owners. Perhaps the biggest and most immediate change to happen in 2015 is the Google search engine changes. Google has now made new tweaks to it’s search engine that will actively punish those website owners who do not provide a suitable and optimized experience for mobile users. You will need a mobile or responsive website design in 2015 if you want to keep your search rankings. Otherwise, you can say goodbye to your hard earned SEO work. 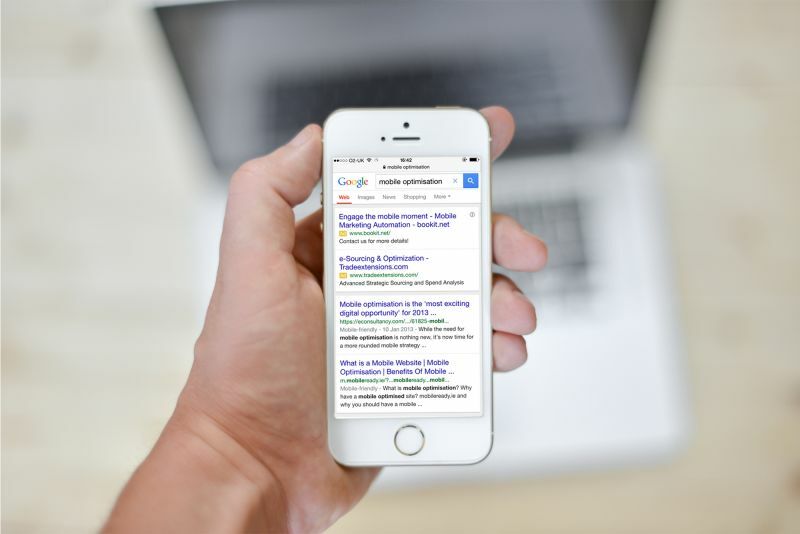 Businesses that are already using mobile websites are seeing success from the new Google changes because their less-prepared competitors are falling down ranks on Google. 2015 will be the point where mobile users will outnumber desktop users for the first time in history. This is a pretty spectacular milestone, and whilst PC users still account for a large amount of traffic, mobile traffic is growing every single day. The milestones made in global smartphone adoption rates this year just show that the mobile web is something you can’t ignore anymore. It may not be such an issue if mobile users didn’t rely so heavily on websites and services that provide quick-loading and easy to view mobile optimized content. However, creating a well optimized mobile website is one of the only ways to bring in mobile users. More smartphone users are shopping online, browsing the internet and doing research about projects than ever before. 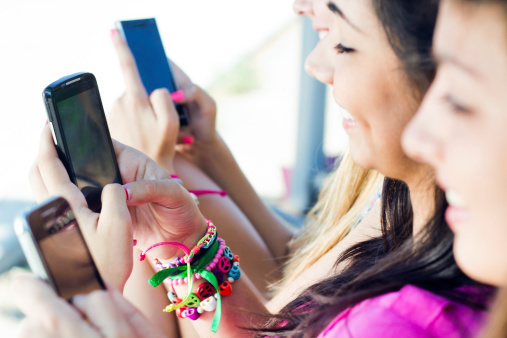 As mobile usage grows, so does the chance to increase your profit. 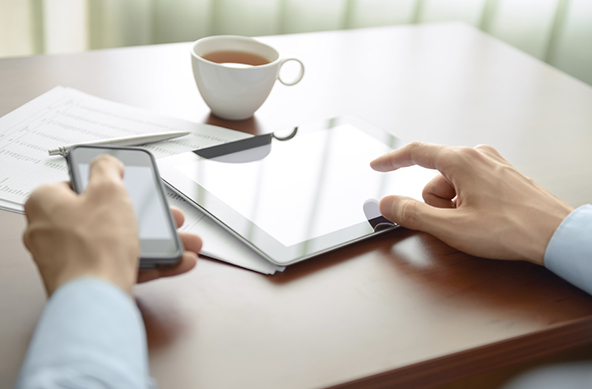 Owning a mobile website isn’t just about sticking to the latest trends. A mobile website can help you to increase your business’ success by a long shot, and there are plenty of methods to help grow your business and see it succeed far past your competitors by utilizing mobile traffic. A few years ago, venturing into mobile technology was a scary proposition. Many analysts predicted a huge rise in mobile and smartphone usage, but it was still difficult for businesses, especially small to medium businesses to get involved with the mobile generation. In 2015 it has become very easy to get online. 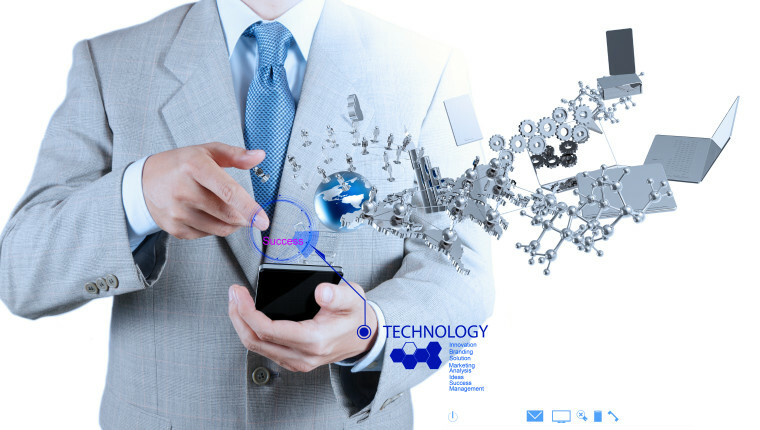 There are plenty of services that can help you to develop the perfect mobile website, and thousands of other companies and individuals that are working together to make transitioning to the mobile space as a business easier. Whether you want to create a new mobile website, develop an app or start mobile web marketing, resources on the web have never been so abundant. Desktop websites are great for PCs and laptops, but they just don’t cut it for mobiles and tablets. One of the best ways to provide the best user experience is to develop a responsive website design. Responsive websites can automatically adjust to different display sizes and devices, which means one website will look nice on a PC, laptop, tablet and smartphone. Mobile websites are also useful for providing a better user experience for mobile users, and we’d even go as far as saying mobile users care more about user experience than desktop users do. You’ve probably heard studies about how a large portion of mobile users will straight up abandon your website if it isn’t well optimized, and this is very true. By not providing a great user experience for all users, you’re missing out on a lot of sales. After the huge hype surrounding the recent explosion of smartphone usage over the last few years, it’s natural to be skeptical of whether the mobile web is still relevant or not. In this article, we’ll be taking a look at the current health of the mobile web, and comparing it to more traditional desktop-based internet. By taking a look at search data from some of the biggest search engines, we can have an accurate representation of what devices are being used often. If we take a look at Google’s traffic in the second half of 2014, we can find that on average over 16 billion monthly hits were made to the website in the US across both desktop and PC. Interestingly, the divide between platforms was split quite evenly, with roughly 8.5 billion hits coming from the desktop, and 8 billion coming from mobile devices. When we take a look at Bing’s search results, things are a little less stable, but there is a fairly similar story to tell, although the gap was larger. In most cases, around twice as many users connected to Bing via desktop. In November 2014, for example, 400 million connected via mobile, whilst 800 million connected via desktop. Bing’s traffic did fluctuate a lot, but for the most part mobile traffic accounted for enough traffic to match up against ~50% of desktop traffic each month. This information shows that desktop is still being used more for searches, but mobile is not far behind at all. Traffic isn’t enough to tell the whole story. Next, we’ll be looking at engagement stats for both Google and Bing. Interestingly, engagement for Google was much higher on desktop than it was on mobile. Desktop traffic ended up viewing pages for three times longer, and the bounce rate was also two times lower than mobile bounce rate. With Bing, a larger percentage of mobile users are engaging for longer than Google, but desktop is still seeing slightly higher engagement rates, with an incremental improvement on visit duration and bounce rate. 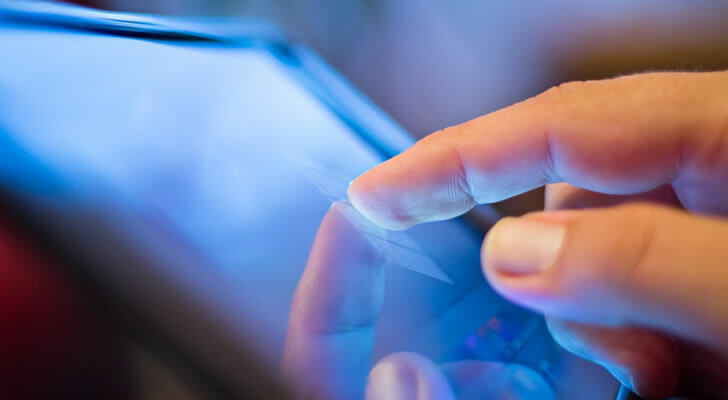 What we can gather from this information is that mobile users are typically already aware of what they are searching for – once they have completed the task they had at hand, they will switch off their displays. Desktop users on the other hand may spend more time browsing as they may feel less pressured for time whilst sitting at home. What both the search results and engagement rates are telling us so far is that mobile is still important, but desktop is equally, or even more important than mobile so far. However, one area where mobile is taking the lead is in shopping, perhaps the most important part for most businesses. 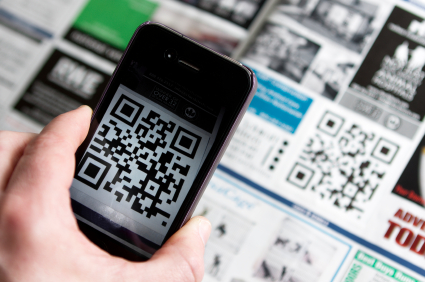 While mobile isn’t quite there yet, it is slowly becoming the shopping king. In 2014, the average monthly visits for Amazon was at 634 million for mobile devices and 658.5 million for desktop. Engagement rate for Amazon on desktop was interesting – time spent on desktop was around twice as long, but pages visited and bounce rate were similar. In April 2015, it is expected that Google will roll out it’s latest algorithm update. 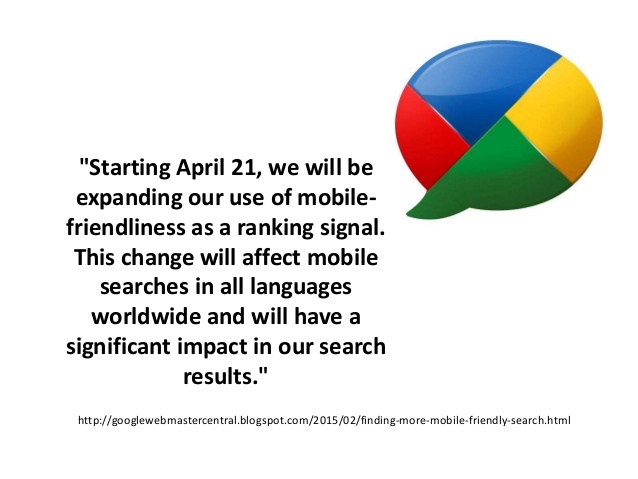 On the 21st of April, this Google update is expected to have a serious affect on the mobile search results. Google is warning that websites that are not prepared for the update will drop in rankings in the mobile search results. This means that if your site is not optimized for mobile devices, you need to fix this and fast.If your site doesn’t look good on a mobile browser (as determined by the Google crawler), expect your mobile results to drop significantly. For other areas of the internet, it seems to be the same story – desktop still accounts for the majority of internet traffic, however mobile is close behind. Adoption rates for mobile is slowing down as more people become connected, but there seems to be a very healthy 50/50 split occurring between mobile and PC traffic. 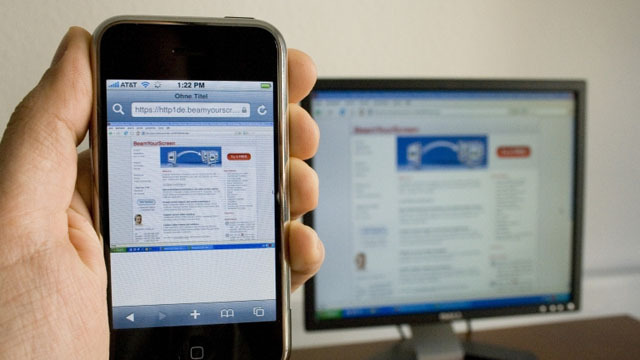 So, is mobile web important in 2015? We’d definitely say so, but don’t get too carried away – desktop is just as important, if not more so than mobile, so it’s clear that your business should cater for both platforms. We’d suggest checking out responsive website design if you are looking for the best method of entertaining both desktop and mobile users. Looking for a mobile web developer? 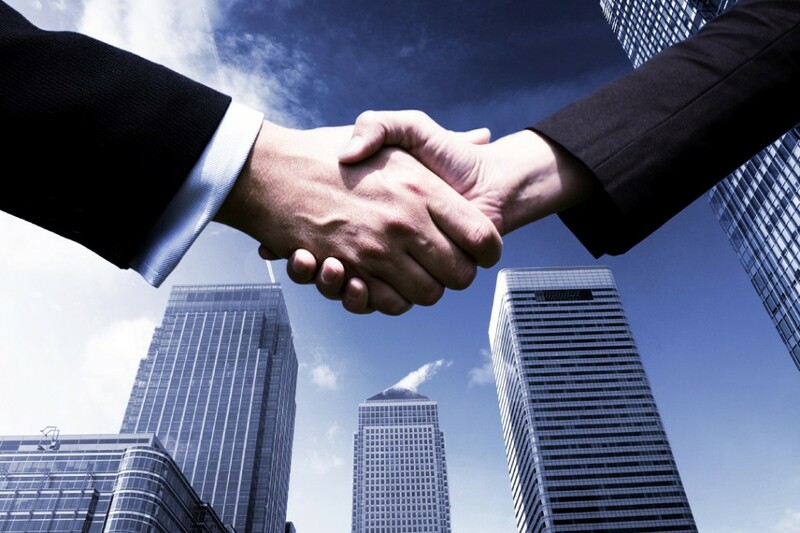 Call us today at 1-888-736-0650 and speak to one of our experts. The consumer world has been ruled by the internet over the last decade, but since smartphone usage has been on a rise, mobile shopping has started to become more relevant than standard web shopping. In this article, we put the two methods of shopping against each other to see which one offers the best results, and share the predictions we have for both methods in the near future. 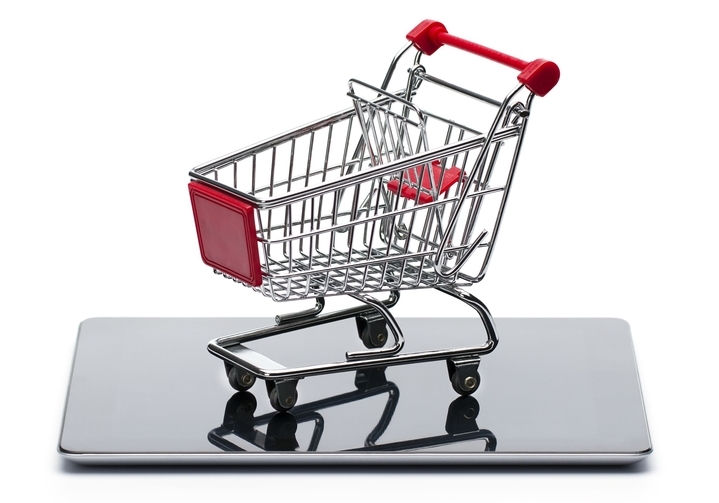 It’s eCommerce vs Mcommerce, and they’re both putting up a good fight. Before we take a look at different stats that help resolve the eCommerce vs mCommerce battle, we’re going to be explaining the different usage scenarios for both methods, giving examples why each method can be beneficial to a shopper, and when each user typically uses each method. If a shopper has the choice between eCommerce and mCommerce, they may choose a different approach each time, depending on their current circumstances. Typically, Mcommerce is used for quick purchases – mobile web pages load blazingly fast, and they are made for allowing users to complete tasks quickly. If your customers are expected to search and buy one product from you, Mcommerce is useful because they will be able to quickly buy the product they are looking for. If you’d rather your customers do a bit of shopping around while considering what to buy, standard eCommerce can be more beneficial, as you can display more deals, provide product listings and give information about your business to shoppers. Typically, shoppers will take the desktop route if they are unsure about the product they’d like to buy, and would like to do a bit of research first. These are obviously just two very typical usage scenarios, but the point made here is that both methods of web commerce offer different uses for shoppers. 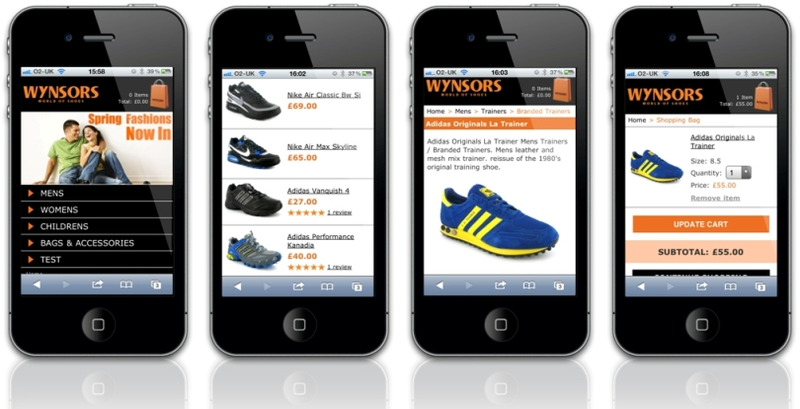 So, the question that I’m sure you’d like answered – Do I put more effort into eCommerce or Mcommerce? It really will depend on your situation, but the stats show that mCommerce is easily as effective as eCommerce, and if you haven’t provided a mobile web optimized shopping page and you rely on online sales, then we’d definitely suggest getting a mobile web store developed. Get a free preview of what your site could look like here. It’s important to realize that while mCommerce is growing at a staggering rate, standard eCommerce is still as healthy as ever. 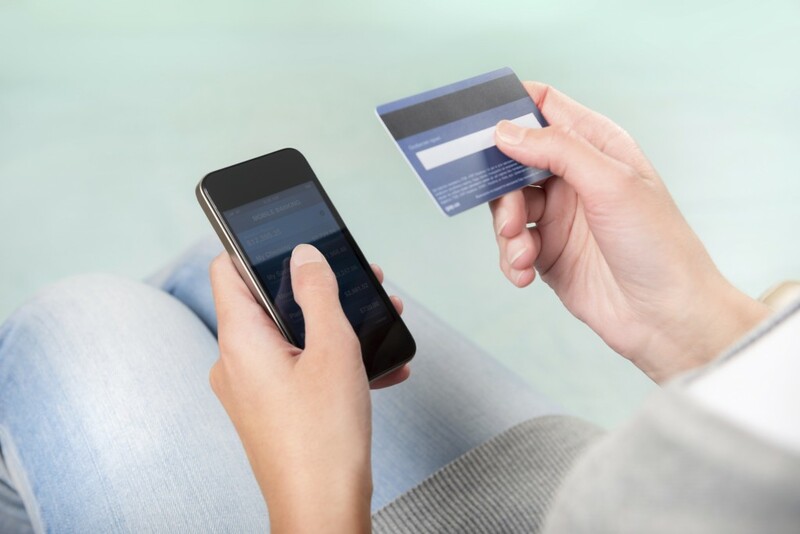 According to a study, around 51% of users have used their smartphones to make an online purchase, but the same study expects that around 54% of all sales will be eCommerce this year. This suggests that while a large number of shoppers have used their smartphone to do shopping in the past, a slightly larger amount of people use either just standard web shopping or a mixture of web and mobile based shopping regularly.